Influenza ("flu") is a contagious disease that spreads around the United States every winter, usually between October and May. Flu is caused by the influenza virus, and can be spread by coughing, sneezing, and close contact. 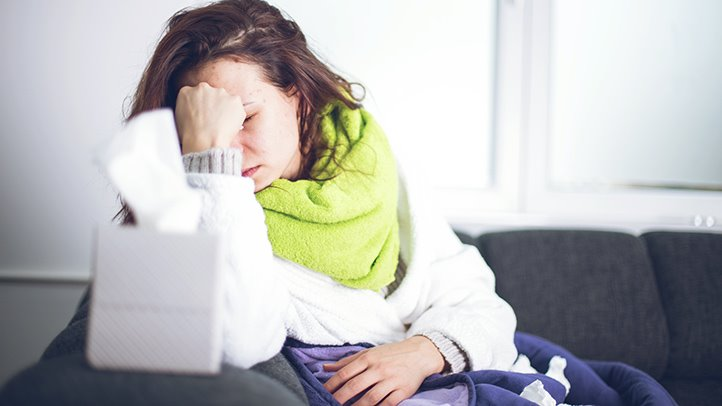 Flu can make some people much sicker than others. These people include young children, people 65 and older, pregnant women, and people with certain health conditons- such as heart, lung, or kidney diesase, or a weakend immune system. Flu vaccine is especially important for these people, and anyone in close contact with them. Flu can lead to pneumonia, and make existing medical condtiotns worse. It can cause diarrhea and seizures in children. Each year thousands of people in the United States die from the flu, and many more are hospitalized. keep you from spreading flu to your entire family and other people. A does of the flu vaccine is recommened every flu season. Children six months through eight years of age may need two doeses during the same flu season. Everyone else needs only one dose each flu season. Some inactivated flu vaccines contain a very small amount of a mercury-based preservative called thimerosal. Studies have not shown thimersol in vaccines to be harmful, but flu vaccines do not contain thimersoal are available. There is no live virus in flu shots. They cannot cause the flu. There are many flu viruses, and they are always changing. Each year a new flu vaccine is made to protect against three or four viruses that are likely to cause disease in upcoming flu season. But even when the vaccine doesn't exactly match these viruses, it may still provide some protection. It takes about 2 weeks for protection to develop after vaccination, and protection last through the flu season. If you have severe, life-threating allergies. If you ever had life-threating allergic reaction after a dose of the flu vaccine, or have a severe allergy to any part of this vaccine, you may be advised not to get vaccinated. Most, but not all, types of flu vaccine contain a small amount of egg protein. If you have ever had Guillain-Barre' Syndrome (also called GBS). Some people with a history of GBS should not get this vaccine. This should be disscused with your doctor. If you are not feeling well. It is ususally okay to get the flu vaccine when you have a mild illness, but you might be asked to come back when you feel better. With any medicine, including vaccines, there is a chance of reactions. These are usually mild and go away on their own, but serious reactions are also possible. Most people who get a flu shot do not have any problems with it. If these problems occur, they usually begin soon after the shot and last 1 to 2 days. There may be a small increased risk of Guillain-Barre' Syndrome (GBS) after inactivated flu vaccine. This risk has been estimated at 1 or 2 additional cases per million vaccinated. This is much lower than the risk of severe complications from flu, which can be prevented by the flu vaccine. Young children who get the flu shot along with pneumococcal vaccine (PCV13) and DTAP vaccine at the same time might be slightly more likely to have a seizure caused by fever. Tell your doctor if a child who is getting flu vaccine has ever had a seizure. Any medications can cause a severe allergic reaction. Such reactions from a vaccine are very rare, estimated at about 1 in a million doses, and would happen within a few minutes to a few hours after the vaccination. Look for anything that concerns you,such as signs of a severe allergic reaction, very high fever, or unusual behavior. Signs of a allergic reaction can include hives, swelling of the face and throat, diffucluty breathing, a fast heartbeat, dizziness, and weakness. These would start a few minutes to a few hours after the vaccination. If you think it is a severe allergic reaction orther emergency that can't wait, call 9-1-1 and get the person to the nearest hospital. Otherwise, call your doctor. Reactions should be reported to the Vaccine Adverse Event Reporting System (VAERS). Your doctor should file the report, or you can do it yourself by the VAERS website at www.vaers.hhs.gov , or by calling 1-800-822-7967. The National Vaccine Injury Compensation Program (VICP) is a federal program that was created to compensate people who may have been injured by certain vaccines. Persons who believe they may have been injured by a vaccine can learn about the program and about filing a claim by calling 1-800-338-2382 or visiting the VICP website at www.hrsa.gov/vaccinecompensation. There is a time limit to file a claim compensation. Ask your healthcare provider. He or she can give you the vaccine package insert or suggest other information.